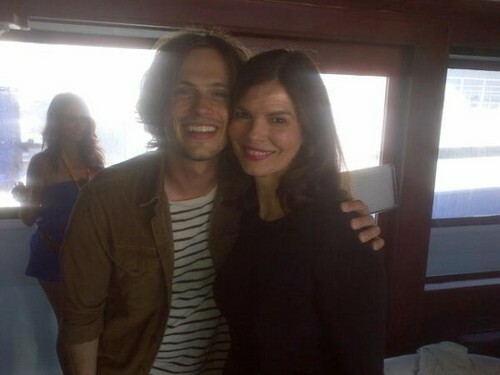 Matthew & Jeanne Tripplehorn. . Wallpaper and background images in the Esprits Criminels club tagged: criminal minds matthew gray gubler jeanne tripplehorn comic con. This Esprits Criminels photo might contain costume d'affaires and costume d’affaires.